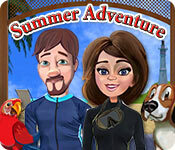 Summer Adventure is rated 2.9 out of 5 by 18. Rated 5 out of 5 by shr1021 from Love this game Finally a game that is filled with just hard enough to find hidden objects! I love that you can skip the mini games right away if you want. Fun factor doesn't end when you play it again and again. 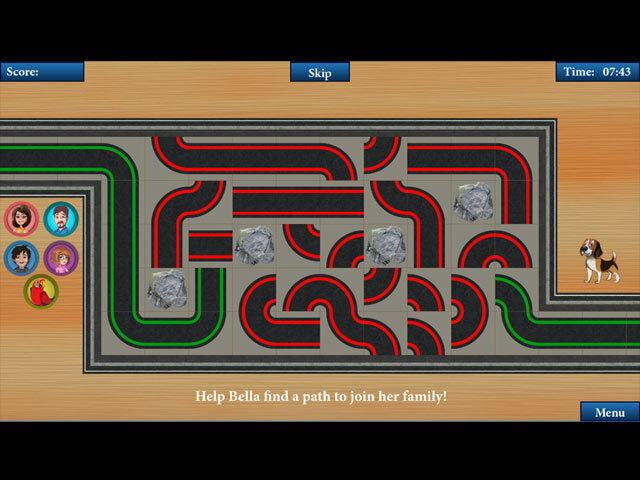 I highly recommend this game to anyone who finds the difficult macabre ones tiring. Rated 5 out of 5 by raydog from I loved this game! I really like this game. At my age (65) the darker hidden object games are just sort of frustrating. This one is light and I can see around the picture. It kind of reminds me of the Big City Adventure series. I love the side games. Every one of them! The only problem I had was as one of the other commenters said was the spelling issue. It was entertaining as I got farther into the game. I loved the "Showel" Had to use the hint to find out what I was supposed to find - shovel! LOL! Rated 4 out of 5 by cailes from Summer Adventure I am really enjoying this game. Half way through the levels. 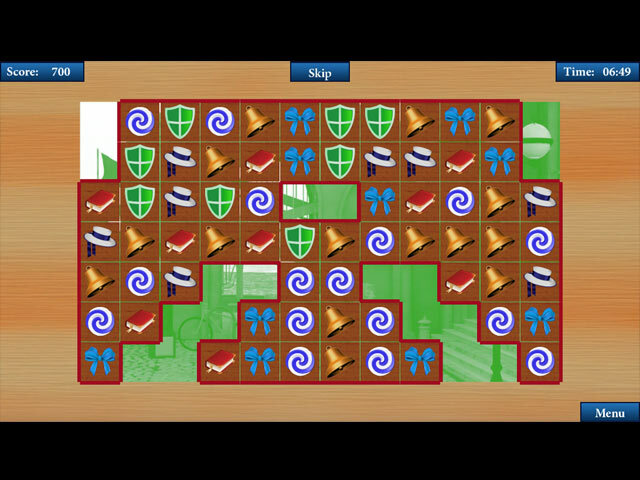 Enjoying the soothing music and the difficulty level is not easy, but not hard, slightly challenging. If you are looking for an easy relaxing hidden object game, with a small game to play between levels, this is the game. I totally recommend this game. Rated 4 out of 5 by squeekie from A game with many levels I liked the variety of game levels and the close up option in the search mode but this game is in bad need of spell check. Rated 3 out of 5 by BostonBob from No final score This games gives you a score on every scene, 60 of them and all the puzzles....BUT No Final Score at the end of the game. If you want to play for fun with no final score, go right ahead and enjoy yourself. My wife and I enjoyed this game except for that. Rated 3 out of 5 by kezzi50 from bit boring...got bored before demo ended Just played cause I had nothing else to do. Ho hum. No story line just puzzles. Rated 3 out of 5 by bratzgram from Good Game for Beginners I think this would be a good game for young or beginning players. 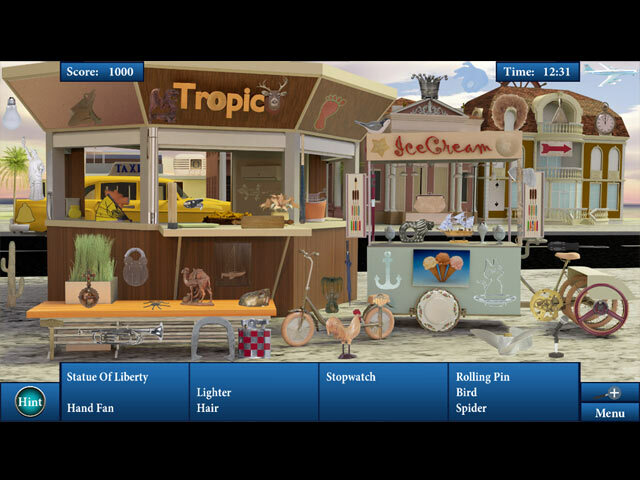 The mini games are easy and change between every hidden object puzzle. The hidden object puzzles are fun. Not very hard but some challenge. The zoom does come in handy. The one problem I had was that I would click on what I thought was a list item only to be told that I was wrong. I would then use the hint and was directed to the item I had already clicked on one, two and sometimes three rimes. At least there seems to be unlimited hints. This game is to simple for my liking but give it a try. It may be just what you are looking for. Rated 3 out of 5 by suegrinch from Gets Boring Quickly Several spelling errors, incorrect descriptions. Scenes are very repetitive. I wish I would have played the demo before purchasing. I got extremely bored by level 27. Rated 3 out of 5 by cathybobcat from COULD BE BETTER....COULD BE WORSE This was originally released on 6/27/18 and the developer is Ivan Dimitrijevi, which is why the names of items are different from those of the Americans. This must always be taken into consideration when encountering these situations in games. Everyone is not American and has a different way of describing and naming items. It is a basic HOG and the graphics rather bland, but it is an ok game even though it can get repetitive. After each hos there is a jigsaw or match 3, word search (which I really like) and different sorts of puzzles which adds some variety. From what I remember, they do all have skips. I could never compare this to VA. There is no comparison to the quality of VA games even though the play of this may be similar. If anything, it is a compliment to the developer to compare it. I would have never thought to because there just is none to compare with the intricacies of VA games. This is a game of its own. I do have this. It does get repetitive, which is why I probably have only played it a couple of times...but it does have a uniqueness of its own and is a good way to relax without a brain strain (except for those hard to find items, which you do have a zoom feature for). I appreciate foreign developers and just wish I would have waited to be able to use a pcc on this or buy at a sale. I never thought it would be released here and am glad to see it on BF. There are plenty worse HOGs out there and a lot better ones....and I would say that this one is in between and can be played by all. Rated 3 out of 5 by KarenMora from Don't pay full price This is a simple game to relax. HO scene, puzzle, HO scene, puzzle, over and over. If I wasn't so tired of the kidnappings, ghosts, demons, etc HO games I wouldn't have bought this game. Well, I didn't buy it, I had a free game coupon that was about to expire. Some terms were unfamiliar to me i.e. astic column (a column that isn't really holding anything up) and a few typos. No story line.